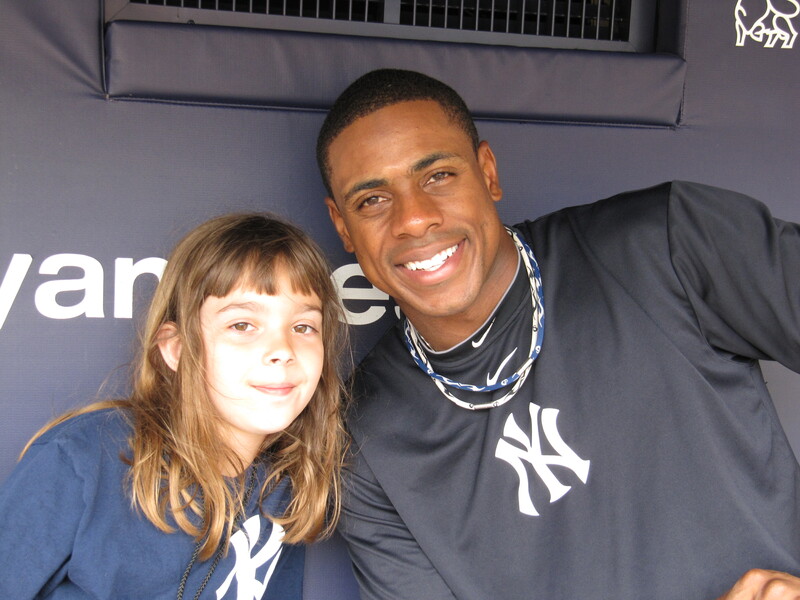 Playing in his second season with the New York Yankees, Curtis Granderson proved why he is one of the best center fielders in baseball as he puts up Most Valuable Player-type number in 2011. The Chicago native set career high in runs (136), home runs (41), RBIs (119) and walks (85). Granderson led the majors in runs, the American League in RBIs, and he even challenged Toronto’s Jose Bautista for the MLB home run crown. While Granderson may be better known for his bat, speed, glove and overall athleticism, he excels even more off the field. He currently represented MLB at the White House in their anti-obesity effort, and he created the Grand kids Foundation to focus on improving the educational experience for young boys and girls nationwide. I got to sit down with Curtis before a game in July 2011 before our family’s baseball trip across the Midwest. Of course, the two talked baseball, but I also discovered the Yankees center fielder is a huge WWE fan along with being a published author and an all-around nice guy.